from El Paso, Texas is a first generation Irish-American and former prize-winning journalist. He has published eight collections of poetry, including Skull Highway (La Alameda Press, 2008). His most recent book, Begging for Vultures New and Selected Poems, 1994-2009 (University of New Mexico Press, 2011), will be available at the event for purchase. As author V.B. Price has written of Welsh’s work, “The wrenching exactness of the poems in Begging for Vultures, makes it clear why he is not only a mainstay of border poetry, but in the top rank of poets in the American West.” Welsh is an associate professor of English at El Paso Community College. He has published in more than two hundred magazines. is Santa Fe’s third Poet Laureate. She works at poetry in community in La Puebla, New Mexico where she and her husband raised three children and built three houses. Awards include a National Endowment for the Arts Fellowship, Witter Bynner Foundation for Poetry Grants and a Mabel Dodge Luhan Internship. Her books include Twenty Years in Bed With the Same Man, Blessed Resistance, Rice and most recently, The Singing Bowl from UNM Press. grew up in rural Maine in the 1950’s. He now lives in central New Mexico where he works as a Speech-Language Pathologist. He’s published six books of poetry, most recently, Vanishing Act from La Alameda Press. His poems have appeared in House Organ, Blue Mesa, Malpais Review and Sin Fronteras. Bruce records and edits Vox Audio, a popular series of cd’s for poets in performance at Acequia Booksellers readings in Albuquerque. lives in Northern New Mexico on the Santa Fe Trail. His most recent book of poetry is Underground Sky, (Turkey Buzzard Press, 2010). Other books include Adventures in the Gun Trade, Burroughs at Santo Domingo, Woman of the Disturbed Earth and Las Montañas de Santa Fe with woodcuts by Leon Loughridge). He has won numerous awards for his poetry and has been nominated for two Pushcart Small Press Prizes. John’s books were featured in the Mile High Underground exhibit, in Denver, 2009, sponsored by the Colorado Historical Society. 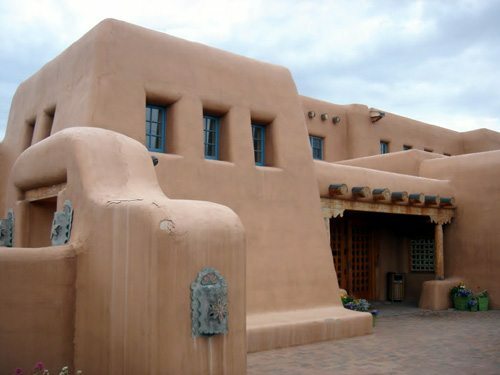 This entry was posted in Bruce Holsapple, Joan Logghe, John Macker, Lawrence Welsh and tagged Badlands Poetry Project, Gerald Peters Gallery, Santa Fe by Monsieur K.. Bookmark the permalink.